Home � Disney On A Budget , Disney World Vacation , Disney World Vacation Planning , Disney World Vacations , Money Saving Tips , Recent � Disney World: 8 Great Money Saving Tips! 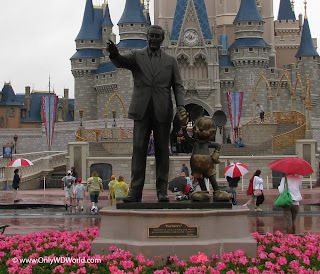 Disney World: 8 Great Money Saving Tips! No matter what your vacation travel budget is, it is always nice to be able to save money. Perhaps there is no other vacation destination where this is more important than the Walt Disney World Resort. By following these 8 great money saving tips you can save hundreds of dollars that can either put your dream vacation within reach or allow you to splurge on some added features that you can now fit into your budget. If you are not using the Disney Dining Plan then consider this tip: Many of the nicer table service restaurants offer most of their dinner menu during lunch at a significant savings. For example, if you really wanted to try the Signature Dish at Le Cellier - the Mushroom Filet you can order it for lunch for $14 less than what it will cost you at dinner. This is also true with the Disney World Buffets. There is a significant savings if you dine there for lunch instead of dinner. For most restaurants Lunch is considered to be from 11:00 am - 3:00 pm. 2 comments to "Disney World: 8 Great Money Saving Tips!"